Everton have rejected a £25m offer from Chelsea for Ross Barkley, but the England midfielder could still leave the club before Thursday's deadline. 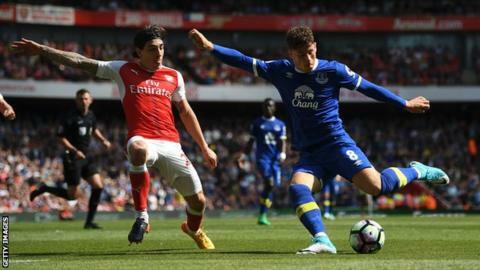 In July manager Ronald Koeman said the club "100%" expected Barkley to leave Goodison Park. Analysis - who will make the next move? Koeman never appeared completely satisfied with Barkley's contributions last season, including removing him at half-time in the early-season win at Sunderland. You v Neymar: How do your salaries compare? Read more on Footballers’ wages: How long would it take you to earn a star player’s salary?